The title of my lectures this year is God, Caesar and Robin Hood. We saw in my first lecture that to understand Saxon and Norman building we needed to understand the contemporary obsession with Rome (that’s the Caesar!). Then in my second lecture I talked about God and the invention of gothic, an architectural style designed to bring man into proximity with an earthly representation of heaven. In my second two lectures, tonight and on April 13th, I want to move on to Robin Hood, perhaps a more surprising emblem for English building endeavour, but one which, when I have finished, I hope you will agree, captures the extraordinary richness of English building in the period 1300 to 1520. But tonight I will deal with the first half - the extraordinary century that started in 1300. So, for instance, in Dartmoor during the thirteenth century hamlets and farmsteads were built on agriculturally marginal land. In 1300 in the southern hamlet at Hound Tor there were four longhouses and seven ancillary buildings. The farmers who occupied these fought to keep the moorland from eating up their fields by building stone walls. Initially they must have had success, but in the 1330s they built corn driers to combat the effect of wet summers. This cannot have been enough for the whole settlement was abandoned less than twenty years later. A better developed agricultural economy might have resisted the effects of climate change, but climatic factors brought an immature system to its knees, particularly at the margins. A second global factor undermined thirteenth century stability, a failure of money supply. This was partly caused by a genuine shortage of silver – the mines simply couldn’t produce enough to supply the mints as well as the luxury goods market. But part was due to taxation demands made by the crown to pay for war: For forty of the sixty years between 1290 and 1350 England was at war. These wars were not skirmishes; they involved armies of 20,000 men or more, ships, horses, massive castles and extended supply lines. To support the war effort the crown imposed heavy taxes and manipulated and exploited the wool trade. Both were bad for the economy and meant that the self-confidence and prosperity that had knitted society together in the thirteenth century was coming unravelled. In 1348 it suddenly fell apart. The Bubonic Plague reached the south coast of England in that summer and gradually spread northwards, bringing continued death in Scotland in 1350. Half the population was killed. Recurring bouts in 1361-2, 1369 and 1375 probably killed another 10-15%. So in all around 60% of the populatopn died in 30 years, most of it in two. Of course many architects and masons were killed by the Black Death, many building projects were halted, many rich patrons died with cheques unsigned. In a few places this can be starkly illustrated. At the parish church of St. Oswald, Ashborne, Derbyshire a very ambitious rebuilding that began in about 1300 suddenly stopped. In 1349 the tower and spire together with aisled transepts were in place as was the south aisle of the nave. The north aisle was never built. Work stopped in 1350 and was never resumed and so a large buttress now protrudes into the church supporting the crossing. If the death toll amongst architects, masons and sculptors was similar to the population at large, half would have died of plague. New men of a younger generation filled their shoes, with a different outlook and working in different styles. Patrons were often new men too and an epidemic that left half of England dead must have had a huge effect on the way they felt. There was an emotion and movement in the architecture of the thirteenth century that I described in my last lecture. If you were here you will remember me showing you the west end of St. Denys Sleaford with its wild tracery and the east end of Holy Trinity Hull containing not only remarkable and inventive tracery but decorated niches in the buttresses and much more decoration. I showed you Heckington, Lincolnshire with its remarkable sedillia and Easter sepulchre. This was the architecture of wealth, confidence and exuberance. But as we enter the fourteenth century English architecture gets much less emotional and more static; less exuberant and florid, more controlled, less individualistic. These changes began in the 1330s, unconnected with the tragedy of the mid century, but after the Black Death they seem to have captured the mood and stylistic changes accelerate after 1348. St Stephens Chapel at Westminster Palace and the chapter house at St. Paul’s Cathedral. These were the twin showpieces of London masons incorporating ideas taken from French royal buildings. The specific innovation that was important was the use of tracery as wall decoration rather than simply as structural glazing bars. In my last lecture I described how the introduction of tracery revolutionised architectural design and the appreciation of architectural space. Its translation from the window to the wall was the crucial next step and can be seen here in a nineteenth century reconstruction of the internal elevation of St. Stephen’s Chapel. It is very likely that the architect of St. Stephen’s chapel was Michael of Canterbury and that he, faced with the problem of modernising the interior of the south transept of Gloucester Abbey (now Cathedral), covered the walls with a veneer of gothic tracery and built a south window in which a big central mullion splits and meets the outer arch effectively creating two arches in one. These features were to become increasingly popular and, in due course, defining of a federation of stylistic components that were christened in 1817 the Perpendicular Style. The choir at Gloucester was built from c.1337 to c.1365 under another architect who extended the stylistic experiment of the transept. It is an exciting place to be, lit by the single largest window built in medieval Europe. The effect is of a single graph-paper-like grid of vertical panels covering the whole internal surface, window included. This was a new aesthetic, for everything was subjugated to the net of tracery, no individual element stood out - in contrast to previous interiors where statues and individualistic carving were everywhere. There is another aesthetic shift too: in the way that the panels and shafts emphasise the verticality of the space rather than its horizontality. The vertical shafts sprout into a multitude of ribs that knit themselves into a bewildering but symmetrical geometric vault. From about 1360 the architects of Gloucester took the design principles of the choir to their logical conclusion by applying the grid of panelling to the vaults. The east cloister has the first fan vault in England: a technological and aesthetic revolution. Previous vaults had relied on the ribs for their strength. These fan vaults, shaped like up-ended half trumpets, were made of brilliantly jointed carved ashlar panels decorated with blind tracery unifying wall, window in ceiling in a single modular grid. The components of a new style, seen best at Gloucester, soon started to make earlier buildings look old fashioned. The most important of these was Canterbury Cathedral where, in 1377, the monks started to rebuild their Norman nave. The architect they commissioned was Henry Yevele, the chief royal architect, who took six years to complete one of England’s greatest architectural masterpieces. The nave of Canterbury reversed the existing architectural canon replacing the massive engineering of the arcades with thin arches and virtually eliminating the clearstory and triforium. The original effect of extreme verticality has now been diluted by the insertion of later screens, but the clusters of vertical shafts sprouting into a vault 80ft above the floor set a model that was widely imitated. And imitated all over the country, for despite economic stagnation and depopulation for many communities the period between 1380 and 1530 was one of active participation in architectural patronage. That century and a half saw the rebuilding of perhaps 50% of all parish churches, a process quite different from previous waves of church building. First, there were few new foundations. New parishes more or less ceased to be formed after 1300, each church jealously protecting its existing rights and jurisdiction. The fifteenth century saw new naves, towers, porches, re-fenestration and internal reordering, rather than new building on fresh sites. Second, this work was funded, not by ecclesiastics or the aristocracy, but by the gentry and merchants, and by middling or lesser men contributing to their local project. So here is the great parish church of St. Mary Saffron Walden built in around 1430 by the wealth of the town merchants. It is a grand, but typical, example, a great big rectangular box and inside a big arcade with a grid of tracery between it and the clerestory. This was an expensive endeavour even for a town as rich as Saffron Walden was in the fifteenth century. We have to ask why was the perfectly good church that preceded it replaced with this cavernous building? Death is the answer. The dynamo that drove so much building in the fifteenth century was the spectre of death that still hung over England after the catastrophe of the Black Death. The tragedies of the fourteenth century left a residual strain of morbidity in society. This is perhaps most starkly symbolised by a fashion amongst some rich (and dead) patrons for double tombs. The upper tomb commemorated the patron in all his worldly glory and below lay his emaciated cadaver wrapped in a shroud. Sometimes worms creep from the belly sometimes from eye sockets. In the Fitzalan Chapel, Arundel Castle, is the tomb of John FitzAlan, 7th Earl (d 1435). His armoured effigy lies on an open arcaded tomb beneath which is an emaciated cadaver. More common expressions of morbidity were the terrifying murals that were painted above and around the chancel arch and behind the rood. Worshippers at St. Thomas, Salisbury still stare at a huge doom where Christ in majesty judges the world. On the left angles are raising the dead, some of whom are carried (with evident relief) heavenwards. On the other side is the Prince of Darkness watching a group of the damned, wrapped in chains, being dragged into the mouth of Hell. But let’s move away from churches for the century under consideration this evening was also important for some of the most remarkable secular buildings of the middle ages. As builder King Edward III (1327-77) eclipsed his great predecessor Henry II and became the greatest patron of English architecture of the Middle Ages. His greatest project was the rebuilding of Windsor Castle over a period of 18 years at a cost of £51,000. The bulk of this, some £44,000 was spent between 1357 and 1368 on rebuilding the upper ward. Here a massive residential block, partly subsuming the work of Henry II, rose. On the north front there were Henry II’s great towers but on the inside, facing the inner ward of the castle, were the royal rooms laid out in a single range, the great hall, the chapel and the king’s chamber. At the west end was a tall, slender tower, the Rose Tower containing private chambers. On the west and north were further chambers for the king and queen. To the modern eye the great south elevation looks austere and monotonous, but to the contemporary observer it would have been radical and novel. Its sheer size, 389ft long made it the longest secular façade in England, its lack of external sculpture would have set it apart from previous monumental structures, but most of all was the impression that individual elements were less important then the overall effect. This was part of the aesthetic that was born in St. Stephen’s Chapel and exploited at Gloucester, the aesthetic normally called perpendicular. Windsor spawned, in particular, another royal building, Kenilworth Castle, Warwickshire. John of Gaunt, Edward’s fourth son, came to prominence when his older brothers died leaving him the greatest aristocrat in the kingdom. While Westminster and Windsor have either gone, or been completely altered, at Kenilworth some of the bravura of Edwardian Court architecture remains. Gaunt’s great hall, approached by a massive stair, is England’s grandest ruined domestic interior, its deep bays panelled with tracery, its cathedral-like windows overlooking the mere. Important as Windsor and Kenilworth were the real centre of power in medieval England was at Westminster, not in a castle, but in the unfortified palace founded by Edward the Confessor and consolidated by William the Conqueror and his son. Henry III (1216-72) had made Westminster Hall into the principal throne room of the land with a permanent marble throne set on the dais behind a massive marble table. Near this met the courts of King’s Bench, Chancery and Common Pleas, in the presence, as it were, of the king. In 1393 Richard II decided to rebuild Westminster Hall, a project that was completed by 1401. The massive Norman walls were retained and Richard’s masons inserted big new gothic windows in them. Beneath was a cornice richly carved with Richard’s heraldic beasts. The Norman roof was replaced with the largest and most important piece of carpentry in Western Europe. The challenge for Hugh Herland, Richard II’s carpenter was how to span the incredible width of the hall. To do this he used an emerging structural technique that was being successfully employed at Dartington Hall, Devon: the hammer beam roof. This type of roof shortens the span that has to be covered by cutting the tie beam and leaving its stubs as projecting timbers or hammer beams. These are supported by curved braces from the wall. The hammer beams then reduce the span for the principal arches. On each hammer beam was a massive angel holding the arms of England, the roof was thus a representation of the heavens spread over the earthly court of Richard II. This was not the only religious connotation of the hall for The entrance façade was also treated like a cathedral or great abbey with two towers clad with a screen of twenty-seven niches containing statues of kings and queens. In terms of architectural hierarchy Westminster Hall, uniquely in English medieval architecture, sought equivalence of status with the most important religious buildings, a comment on Richard II’s conception of kingship. I have made much of the effects of plague, but I now need to turn to the effects of war because the Hundred Year’s War and royal and aristocratic architectural aspiration went hand in hand. Fighting in France could bring wealth and honour which in turn could support the aggrandising of landed estates to pass on to their heirs. For the courtiers of Edward III honour and knighthood was in their blood. They wanted to build houses that reflected their martial success and would push themselves to their financial limit to do so. Until after the Black Death England north of Yorkshire was thinly populated with great houses. There were royal castles at Carlisle and Berwick, for instance, and the castle-palace of Durham but few noble houses of any size. During the reign of Richard II two families became the leading forces in the north, the Percys and the Nevilles, both were given wide ranging powers of governance by the crown and fees to maintain substantial armed retinues. These families and their followers built, in a period of about a century, a series of residences of extraordinary scale and magnificence. The Nevilles were the greatest and most important builders in the north before the eighteenth century, starting at Brancepeth (c.1360-80) then at Raby (c.1367-1389) at Middleham and Sherrif Hutton. Supporters of the Nevilles built in imitation at Bolton and Lumley. The Percy family meanwhile redeveloped Alnwick Castle in 1310-60 and the masterly Warkworth Castle in the 1390s. The most important development in the lives of the men who built these houses from around 1300 was a noticeable decrease in household mobility. Early medieval households were always on the move but during the fourteenth century noble households moved about less, some stayed put for most of the year. This change in lifestyle had no single cause, but the fact that so much land was now tenanted meant that lords could not live off their own estates as they travelled and at the same time had less reason to visit their far flung holdings. Much longer periods spent in one place affected the design and economy of the great houses. Principally they became larger, more complex, and more richly appointed and most lords chose one, or at most two houses that could be brought up to the expected standards. So While Edward I had twenty houses Henry VI had only twelve. The Bishop of Hereford had thirteen houses in 1300 but in 1356 decided to limit the number to just seven. self-contained lodgings round a central court. The best surviving northern palace-fort is at Bolton where around 1378 John Lewyn, the most important architect in northern England, started a brand new castle on a fresh site for Richard Lord Scrope. Scrope was a former soldier turned courtier who rose to be Chancellor of England. Like Goodrich, his new house was built round a courtyard with five strong towers at the corners. Its external appearance is utterly uncompromising, plain but overpowering in bulk. This austerity is all show for it wraps round a plan of extreme ingenuity that creates a large number of luxurious lodgings for Scrope, his household, guests and servants. Bolton represents the first generation of English aristocratic houses where the complexity of a lavish civilian lifestyle is architecturally integrated with the visual communication of military power. In it we see the growth of the individual lodging, for owners, their households and their guests. Generally speaking lodgings for the lord and lady of the house developed at the upper end of the hall, normally in a wing built at right angles to it. Before 1400 most grand houses had a withdrawing chamber in this position, but increasingly this was only the first of a sequence of rooms which became progressively more private. We have already encountered Penshurst Place which was sold to Henry V’s brother John, Duke of Bedford in 1429. He built on to Sir John Pultney’s withdrawing chamber a large three-story block, containing household lodgings on the ground floor and two fine rooms above for himself plus a lobby and a private closet. To provide access to this suite the staircase from the hall was also rebuilt in a more stately fashion. Such lordly lodgings, which today are often gaunt and empty ruins, were furnished with extravagance. Key to a display of magnificence was plate and textiles. Textiles, particularly tapestry, often woven in the Low Countries, was hung in any room of status, and in the most important rooms sets of tapestries shot through with precious metals sparkled in candlelight. Thomas Woodcock at Castle Pleshy in 1397 had a bed of cloth of gold valued at £180 equivalent to the annual income of a well-heeled knight. One of his tapestries, showing the history of Charlemagne, was 72ft long and was valued at over £48. Buffets covered in fine carpets or linen supported a dazzling display of plate: ewers, chargers candlesticks and goblets. Lord Scrope had, in his bedroom at Bolton Castle a bowl and ewer of silver and in his great hall 35 gold and silver salt cellars. Let me leave royal and aristocratic housing, for although developments in these types of house were interesting they were not as important in the long term as what was starting to happen in the towns. English towns reached a peak in about 1300 and from that time on population stagnated, before plummeting as a result of plague. Some towns, like Lincoln and York halved in size between 1377 and 1530. Yet in 1530 30% of the population were still living in towns and some places like Exeter or Worcester had grown in size and wealth. English towns were run by merchants and successful artisans who would make key decisions taking account of the views of common council, the representative body of small-scale operators. This was a new class eager to express their wealth and sophistication in bricks and mortar and they had a tremendous impact on the appearance of English towns. Merchants and artisans were also the leading members of religious fraternities or guilds. These groups had existed before 1350 but after became more numerous, prosperous and prestigious and grew to occupy a key place in the local economy. While at heart they were clubs investing in a collective chantry employing priests to pray for their souls, their charitable activities were vital. They founded and funded schools, hospitals and almshouses and paid for local infrastructure such as roads and bridges, in fact in some small towns most public buildings were funded by Guilds. In York, second only to London in wealth and population, two medieval guild halls remain: the Merchant Adventurers hall of 1357-61 and the Merchant Taylors of c.1400. Both are timber framed and the Adventurers hall is one of the best surviving of the period. The Guild was originally a social and religious one, but it was later absorbed by a craft guild, the Guild of Mercers and Merchants. Their building combined spaces for trading, social events, religion and charity. The huge aisled ground floor space and stone chapel was a hospital for tending the sick, elderly and orphaned as well as passing travellers and pilgrims. Above was the hall, the hub of the Guild’s trading and social activities. The fraternities, craft guilds and their buildings, together with the feasts and ceremonies that were an integral part of their purpose, gave a sense of character, history and pride to towns. In the richest towns this was expressed by the town government in its own civic structures. By 1300 the City of London had won self-government from the crown, a mayor, twenty-four Aldermen and two sheriffs were established and they commissioned the mason John Croxtone to replace the old city guild hall in 1411. Over nearly twenty years he built the largest and most important building in the City after St. Paul’s. Most of it was hemmed in by other structures, so the entrance porch, facing Guildhall Yard, became the public face of England’s wealthiest Corporation, and it looked it. The whole surface was covered by blank arcading and niches containing four-foot high statues. At the top was Christ in majesty, below, on the next level, figures representing law and learning and then, flanking the archway, four female figures representing the virtues of discipline, justice, fortitude, temperance, trampling vice beneath their feet. The porch led to the great hall built in emulation of Westminster Hall and, in England, only second in size to it. It was probably originally intended to be vaulted in stone, a feat indeed considering its 46ft width. In the end it was given a hammerbeam roof with steeply pitched covering visible above the adjacent buildings. Inside the entire wall surface was decorated with gigantic screens of tracery, the upper parts of which sailed over window openings on the same plane as the wall giving the interior a remarkable harmony. As the English economy grew, the machinery of government developed and the church prospered, the monarchy, church and aristocracy competed for able administrators. Many of these aspired to a degree. The purpose of this was to equip them with the skills needed to run estates, go to law and fill church posts. A degree in the middle ages covered grammar, rhetoric, logic and theology and a fourteen year old would be a Master of Arts by the time he was 21. A doctorate would take another ten years. Nobody founded a university in Oxford; it grew from the concentration of teachers who gathered there in the shadow of its monasteries. The word university comes from universitas, which means those who are licensed to teach and, by the 1190s, the town was well known for its teachers. In England, students went to live in the town where they studied, they didn’t, as on the continent, go to university where they lived. So, at first, there was a big market for rented houses in Oxford but from the 1240s Academic Halls began to be founded. These were essentially large houses, indistinguishable from private residences, normally belonging to a monastery but leased to graduates who would rent out rooms and provide meals for students. By the 1320s there were perhaps a hundred of these in Oxford catering for perhaps 2,000 students. From the mid-thirteenth century Academic Halls began to give way to colleges which were founded both to educate scholars in a more disciplined way but also to act as chantries for their founders. Colleges were founded at the very highest level of society and were endowed with land and other revenues and so acquired a wealth, independence and freedom which they retain to this day. One of the first was founded in 1264 by Walter de Merton, who had twice been Chancellor of England and then Bishop of Rochester. His college was for 30 to 40 graduate fellows who were to teach while pursuing higher degrees in law, medicine and crucially theology. Merton College, like other early colleges, whilst like a monastery in character, has a much looser and more informal plan. There was a first floor hall on an undercroft for lectures and for dining, then there was a chapel, unfinished, but still today large and ambitious. In 1304-7 came the first residential buildings for the fellows, these were, by 1378 with the addition of further chambers, to form the first quad in Oxford. Oxford, like so many other towns, was hit hard by economic decline and plague leading to depopulation in the 1340s and 50s. This presented an opportunity to found new colleges in vacant parts of the academic quarter. 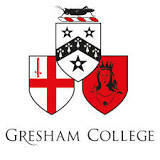 The most important of these was New College founded by William of Wykeham in 1379. To fully understand the ambition and significance of this building, certainly one of the most important and influential of its age, it is necessary to return to Windsor where Wykeham was in charge of building operations for Edward III. From 1380 to 1402 New College took shape, its hall and chapel built as a single range just like the royal lodgings at Windsor. These formed the north side of a quadrangle. Around the other three sides were chambers for 70 scholars and a gatehouse with an adjacent barn to hold produce from its estates. To the west of the chapel was a cloister added in 1389 and completed with a bell tower by 1400. Winchester College, which was built between 1387 and 1401, also for 70 scholars, had a plan very similar to New College with a hall and chapel in a single range and close by a semi-detached cloister. These were educational establishments, but they were also colleges of priests: New College, for instance, had 10 chaplains, 3 clerks and 16 choristers. It was their duty to observe the full rites of the church including processions in the cloisters. The great nineteenth century architect AWN Pugin said that ‘the history of architecture is the history of the world’. In the architecture of the period 1300 to around 1410 or so we see the reaction of a society to incredible hardship and trauma. It was also a society in which the economic balance was radically changing and with that came a change in political balance too. The black death remarkably meant that those who were left were better off. Not the big landowners but their economic and social lesses. The poorer were richer and the merchants and gentry created a self-conscious and assertive political community represented in parliament. The Peasants Revolt had ensured that this community would not, as in France for instance, make the common people entirely responsible for direct taxation, giving the upper classes fiscal immunity. That all classes shared the burden of taxation meant English society was far less stratified and much more mobile than in most northern European countries. Englishmen now spoke a single language that was rapidly becoming the official language of administration and culture. These points are important because it meant that England had a much more uniform culture than any other state in Europe a fact that was expressed in its architecture. Fifteenth century buildings in England have a much greater commonality of style than in France, Germany or Italy where the centripetal forces were much greater. But above all from the fourteenth century architecture is for more people, not just the bishop and the lord. The disposable income of people lower down the social scale enabled them, not the aristocrats and the abbots, to be the patrons of the churches and cathedrals and, as we shall see in my next lecture, enabled their standards of living to dramatically rise. The passion that drove English architecture was moving. Of course God mattered, and so in a small way did Rome, but out of the misery of plague and economic collapse emerged a self confident and individualistic nation who did not want to owe anything to bishop, lord or king. If we were to choose an eblem top exemplify their free spirit and Englishness for my money it would be Robin Hood. But more on this on April 13th. I hope you will join me.